Keep up on activities at the Barker House on Facebook. While there, sign up to become a Fan of the Barker House. The house had three additions between 1782 and the 1840s. The woodwork is Federal in the street-front parlor, Georgian in the sound-front parlor, and Greek Revival in the dining room and kitchen. The house has three floors and eight fireplaces. Originally located two blocks north, the house was rolled to its present site in 1952. 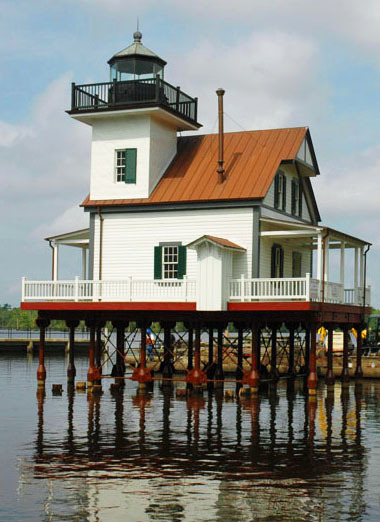 Once it arrived, it was turned 180 degrees so the front on the house now faces the water. Visitors enter through the back door, which in the South means you are very welcome and expected to come back often. Thomas was born 1713 in Massachusetts or Rhode Island. He moved to Bertie County in 1734 to read law. 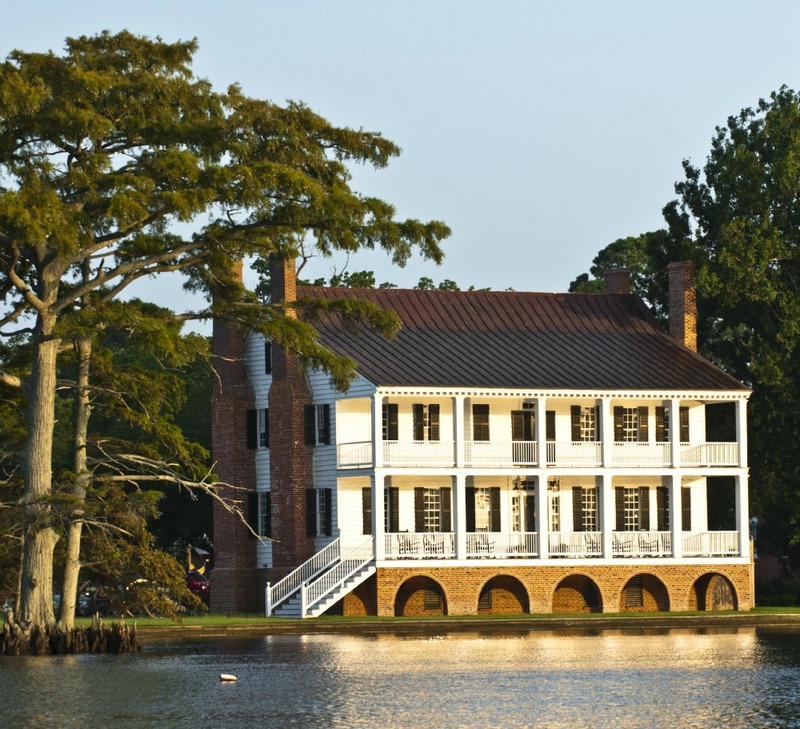 When he traveled the “circuit,” he spent much time in Edenton and Chowan County. In 1738, he married Ferebee Savage Pugh, and they had one child, Betsy. In 1756, he married Penelope Padgett Hodgson Craven. In 1761, he left for England and stayed there until 1778, the last few years as colonial agent for the colony. Because of the American Revolution, Thomas was forced to remain in England until 1778. 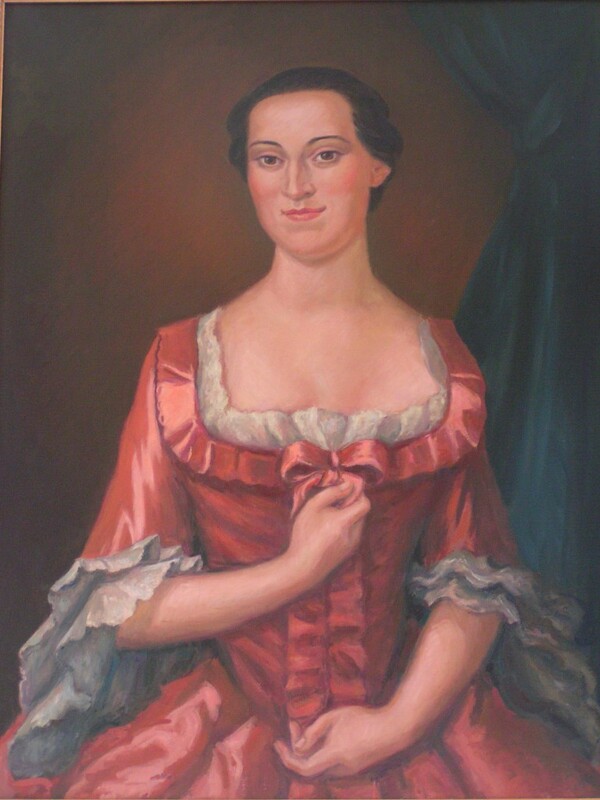 She was born in Chowan County in 1728, the daughter Samuel Padgett and Elizabeth Blount. Penelope and her sister Sarah inherited Blenheim Manor upon the death of their father. Recent artifact finds at the former site of Blenheim Manor have brought more attention to the ruins. Penelope married John Hodgson at 19 and was expecting her second child when Hodgson died in 1747. She inherited substantial property from Hodgson. In 1752, she married James Craven. Before marrying, he purchased Penelope’s property from her. Craven died in 1754, leaving Penelope all his property, including what he had originally bought from her. In 1756, when she was just 28, she married Thomas Barker then 44 years old. They had three children, all of whom died young. When Thomas died, he left Penelope all his property, which included town lots, two plantations, 33 mahogany chairs, 53 slaves, watches, horses and 400 books. Penelope lived through many personal tragedies, showed unbelievable courage in organizing the Edenton Tea Party (below) and died in 1796. 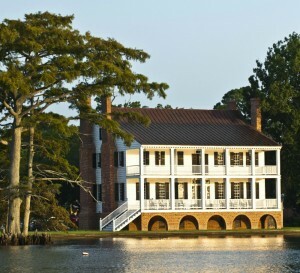 Penelope and Thomas are buried in the Johnston family graveyard at Hayes Plantation, Edenton. On October 25, 1774, 51 women signed their names to a petition resolving not to buy or use British goods on which they had to pay taxes. They signed at the home of Elisabeth King, who did not sign. 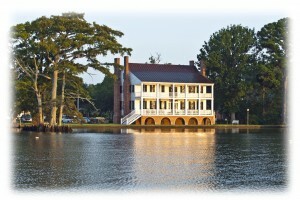 Edenton was a cosmopolitan town as evidenced by the fact that 51 women could read and write. At that time, only one-quarter of colonists were literate and women were even less likely than men to be educated. 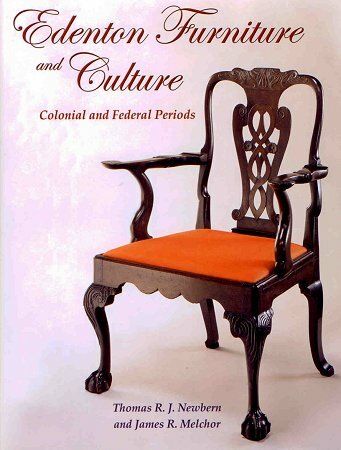 The first political action by women in the Colonies caused quite a stir at home and abroad! A contemporary account, along with the resolution and its signer’s names, appeared in the January 16, 1775 Morning Chronicle and London Advertiser. A caricature of the Edenton women appeared in a London newspaper with English politicians’ heads on women’s bodies. A copy of the cartoon hangs today in the entry hall of the Barker House.